Excellent staff and doctor! Staff very helpful and flexible. Dr. B also! I was very sick when I first came and I am much better. I made same physical changes along with the shots. Dr. B takes a lot of time with me every visit. Answers all questions and is never in a hurry. Great bedside manner. 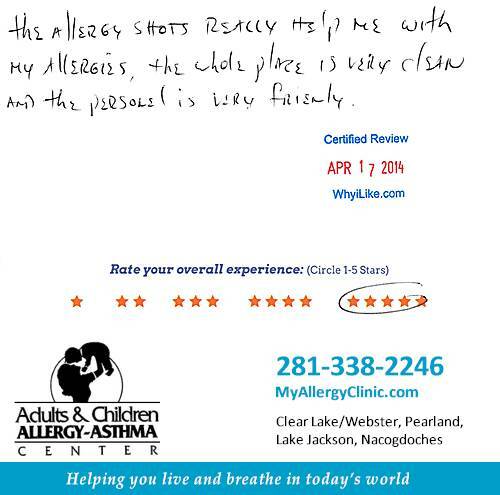 The allergy shots really help me with my allergies. The whole place is very clean and the personnel is very friendly. Absolutely love the ladies. Very friendly and nice. Always seen in a timely manner so the wait time is minimal! The practice very well run. All the staff is friendly. Dr. Bommanna takes the time needed to explain the benefits of treatment and exactly what to expect. I like the staff & doctor. Doctor is very helpful. Shots are working on my child allergist. Thank you. Excellent care for the patients’ allergies and concern for the overall health of the patient. Very informative on usage of medications and medical equipment used for treatment to keep allergies reduced and the patient healthier. Very friendly staff to help me get through these miserable allergies! I have been coming here for over 8 yrs. They take very good care of you. Doc listens to what you have to say and tries different options to keep you healthy. I don’t get sick as much as I used to, so I don’t miss as much work. All of which makes me and my employer very happy. 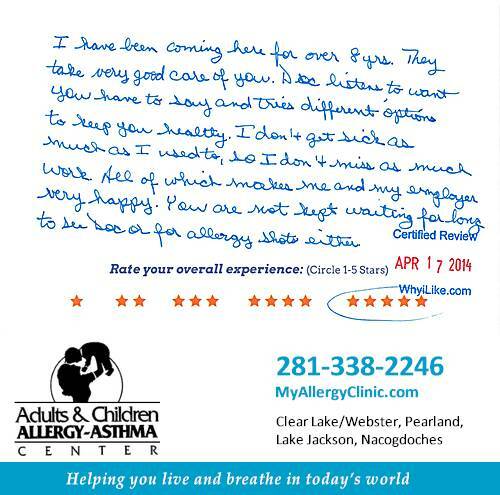 You are not kept waiting for long to see doc or for allergy shots either. This allergy center has done an excellent job taking care of my son. Dr. B makes office visits pleasant and personal. Thank you for the great service. The excellent care we’ve gotten for years is what has allowed my family to live with allergies and a house full of four-legged friends. I am a long time patient of Dr. Bommanna and am very satisfied with my allergy treatments. Both the doctor and staff have provided excellent treatment. My allergies are under control. Thanks to Dr. Bommanna and his staff. My experiences have always been great. – My family has had great improvement since we started visiting Dr. Bommanna.